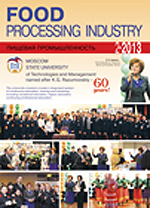 Publishing House «Food Industry» offering advertising your company in our publications. We are always ready to provide benefit your firm on the pages of magazines, as well as help in the development of advertising models. Our magazines are read by experts of all processing companies in Russia, their counterparts in the countries of the CIS and abroad. Our publications can be found at exhibitions in Moscow and St. Petersburg, Samara and Novosibirsk, Krasnoyarsk, Barnaul, Kiev, Budapest, Munich and Milan, Warsaw and Frankfurt. Use our opportunities to promote your products and services. We would love to see your company as our client! the target audience trusts specialized publications. And, therefore, be trusted and the products advertised on the pages of our publication. 100% advanced payment. Flexible discounts system. AI, EPS, CDR (CMYK, text converted to curves).